There is almost always activity in this lively city, as locals and visitors alike go about their business and partake in the diverse shopping, dining and cultural experiences Bridgetown offers. Pleasure craft like yachts, catamarans and fishing boats conveniently dock right in the heart of the city. Visitors will also appreciate the abundance of duty free shopping opportunities available in Bridgetown, as well as the local charm the city brings. 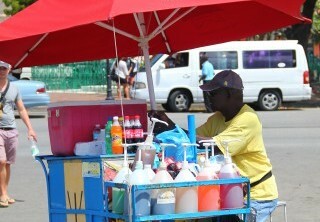 Street vendors with their colorful trays of fresh produce and goods can still be found plying their trade in certain locations across Bridgetown. Not to be missed are the enjoyable experiences to be had at local bars and restaurants and the historic walking tours of one of the Caribbean's oldest cities. After a stroll through the city streets, nothing is more refreshing than an ice cold snowcone! Now recognized as a UNESCO World Heritage Site, this historic city is also home to the Parliament Buildings of Barbados and the Bridgetown Port where cruise ships dock. Bridgetown is also the central hub for the island's public transport system. 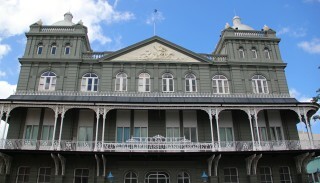 Take a walking tour of Bridgetown to discover the culture, people, food and amazing sights of our capital city. Those who want to be close to all this charming city offers, can consider staying near Bridgetown for their Barbados vacation.